Read what Open Rice said…. 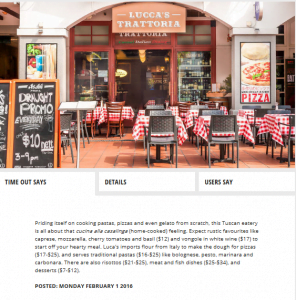 ” The 70-seater restaurant, which exudes a warm and rustic vibe, prides itself in infusing Cucina alla casalinga (a home-cooked feeling) in its dishes. 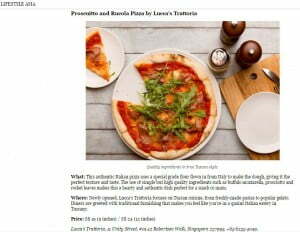 The popular newspapers, MyPaper, reviews the food at Lucca’s Trattoria. Read all about it below. 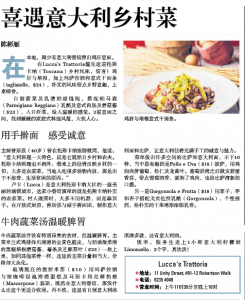 The Chinese Daily (Zao Bao) visits Lucca’s Trattoria and gives the thumbs-up!